Orion Health, a global health technology company has entered into an agreement with Abu Dhabi Health Data Services, a new project company established as part of the Public Private Partnership (PPP) between the Department of Health - Abu Dhabi (DoH) and Injazat Data Systems, a subsidiary of Mubadala Investment Company, to deliver a Health Information Exchange (HIE) platform. The HIE will be known as Malaffi and is the first of its kind in the Middle East. 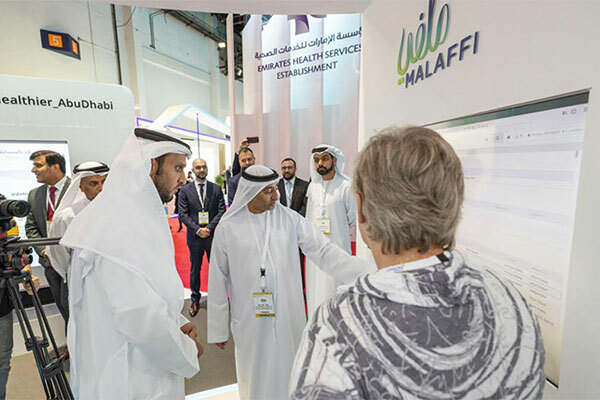 Malaffi will provide a platform that will centrally store and enable the meaningful exchange of patient health information between healthcare professionals and will ultimately connect 2,000 public and private healthcare providers in Abu Dhabi. Malaffi is initially joined by six Abu Dhabi healthcare organizations, including SEHA (Abu Dhabi Health Services Company), Cleveland Clinic Abu Dhabi, Imperial College Diabetes Centre, Healthpoint, United Eastern Medical Services (UEMedical) group and Oasis Hospital, Al Ain. "The Department of Health-Abu Dhabi has recognized the need to centrally and efficiently, store, exchange, and analyze the enormous amount of data that is being created in healthcare every day, and by using advanced technologies, such as Artificial Intelligence (AI) and machine learning, to drive the digital transformation of the healthcare system, for a happier and healthier Abu Dhabi,” said Atif Al Braiki, chief executive officer of Abu Dhabi Health Data Services. “The partnership with Orion Health, will enable us to deliver a best-in-class HIE platform, that will guarantee the success of connecting all Abu Dhabi healthcare providers, and place Abu Dhabi on the top of the global map of successful HIE implementations,"
"Orion Health is delighted to be selected as the partner of choice, to deliver UAE's first HIE platform," said Ian McCrae, founder and chief executive officer of Orion Health. "Storing and aggregating vast volumes of different clinical data, and surfacing it in data analytics, will bring Abu Dhabi a step closer to the practice of precision medicine, which is only possible when health providers have a complete picture of a person's health. “Today, healthcare systems around the world, annually waste more than a trillion dollars on healthcare spend, from unnecessary administration, avoidable lab and radiology testing, and re-admissions of patients into hospitals. 'Malaffi' will use the most current technology and data analytics, that will reduce the avoidable and duplicated procedures, and therefore improve the efficiency of Abu Dhabi's health systems and the overall delivery of care,” he added.